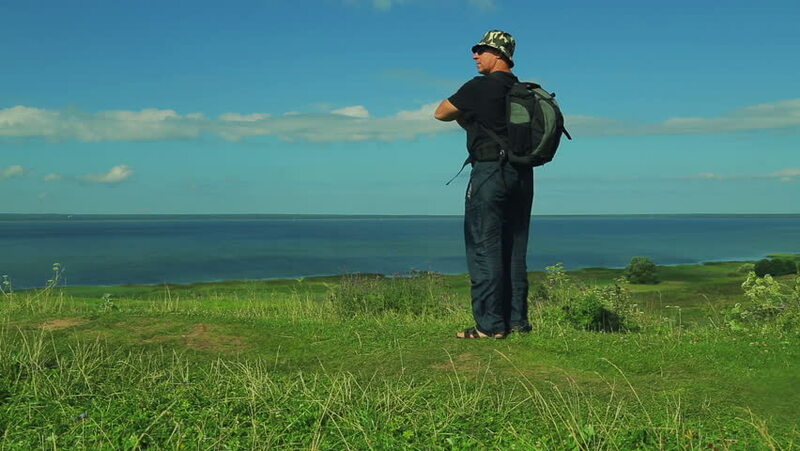 a man with a backpack behind him comes to the edge of the mountain and admires the view of the lake. shooting from the back. hd00:08a man with a backpack behind him comes to the edge of the mountain and admires the view below. shooting from the back. hd00:06a man with a backpack who was admiring the lake from the mountain.